Two months after a brief hospitalization, Kanye West appears to be on the mend. E! Online reports the Life Of Pablo artist has spent that time with his family and gearing up for new projects. According to the publication’s source, West has “a few surprise projects coming up that involves music and concerts in the spring and summer. Plus he is working on his fashion line and some collaborations.” That certainly sounds like a better use of his time than hanging out in a lobby with now-President Donald Trump, who couldn’t be bothered to extend a not-so-coveted invitation to his inauguration. 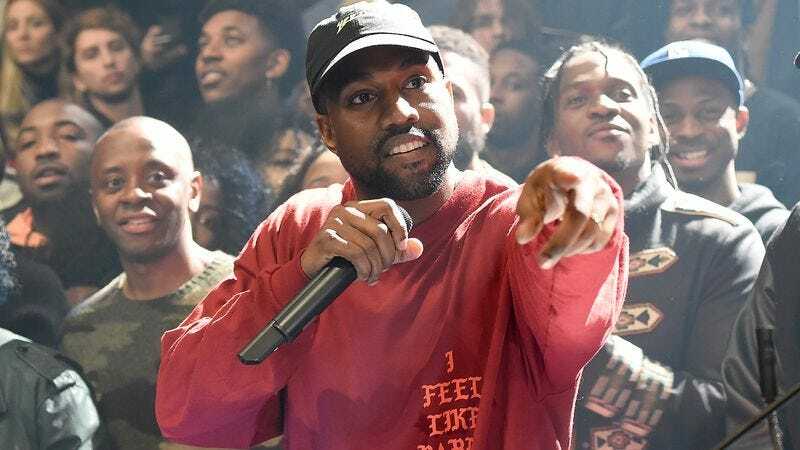 Earlier this month, E!’s sources indicated it was too soon for West to resume his Saint Pablo Tour, which was cut short in December. So while he and his team might not be rescheduling all those dates, there’s a chance West will pop up at any one of a number of summer festivals. He’ll probably avoid surprise after-shows, though.